Brazil just got more bad news. The country's government-run oil company, Petrobras, got crushed by low oil prices last year. On Monday, it reported a net loss of 34.8 billion reais ($9.6 billion) for 2015, even deeper than its loss of 21.6 billion reais a year earlier. Petrobras is at the epicenter of Brazil's scandalous political and economic crisis. An investigation into a massive bribery scandal at Petrobras continues to threaten Brazil's president, Dilma Rousseff, who is facing impeachment proceedings, mass protests and plummeting support. The scandal has played a key role in Brazil's recession, the worst in 25 years. Petrobras' poor earnings come just days after Rousseff appointed her predecessor, Luiz Ignacio Lula da Silva, as her chief of staff -- a move widely viewed as an attempt to shield Lula from prosecution. In Brazil, cabinet members can only be tried by Brazil's supreme court. A Supreme Court judge filed an injunction Friday, annulling Lula's appointment. 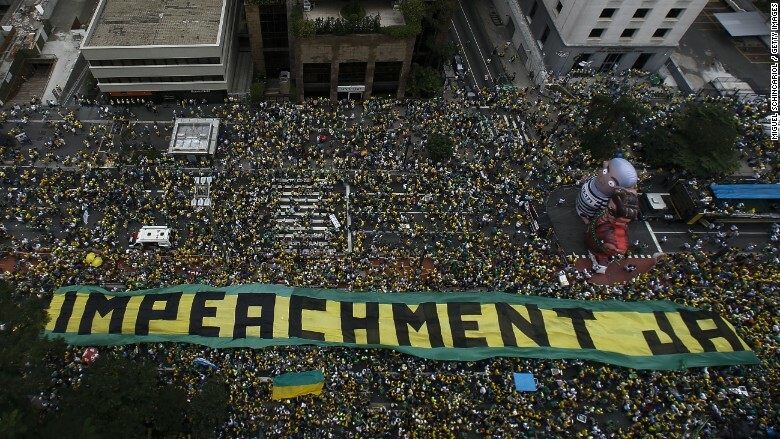 Thousands of Brazilians protest against President Dilma Rousseff Sunday in Sao Paulo, holding a sign that reads "Impeachment Now"
The investigation into Petrobras has already damaged Lula's once impeccable legacy. He left office in 2010 with an approval rating near 90%. Prosecutors recently charged Lula with money laundering and identity fraud. 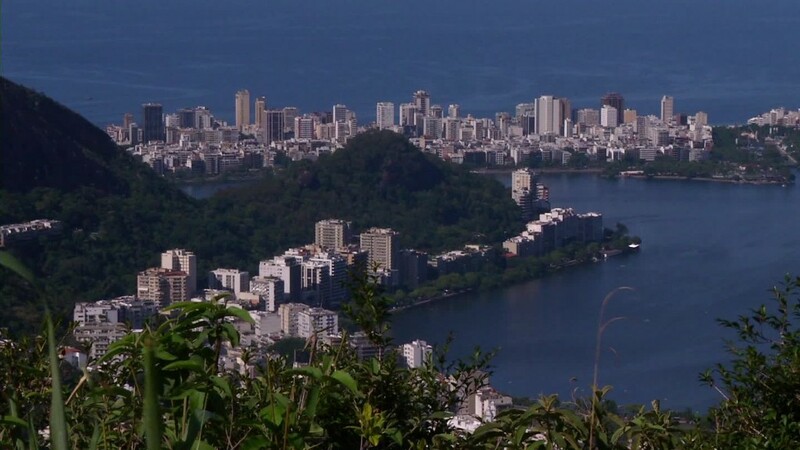 They allege he accepted a vacation home from a Brazilian construction company in exchange for helping the company get favorable contracts with Petrobras. Lula has staunchly denied the allegations. Prosecutors have already jailed several politicians, corporate execs and even billionaires tied to the Petrobras scandal. The company announced last year that it lost over $2 billion just in bribes between 2004 and 2012. On top of all that, Petrobras is suffering like everyone else from the steep fall in oil prices. It said it had to write off billions of dollars of assets and investments in 2015. The company's market value has gone down by more than $100 billion since the investigation picked up steam in the fall of 2014. Petrobras stock was worth nearly $11 at one point in September 2014. Now it's worth $2.24 -- about an 80% decline. One silver lining for the company: as oil prices have rebounded across the globe, its stock has bounced up in 2016. But it's still well below where it was before Brazil spiraled into chaos. -- Richard Beltran contributed to this report.